Bob’s Travel Club offers members travel all year round to a range of exciting and varied places in the beautiful South West and beyond. Bob’s Travel Club is open to people of all ages and abilities and the club welcomes new members throughout the year. 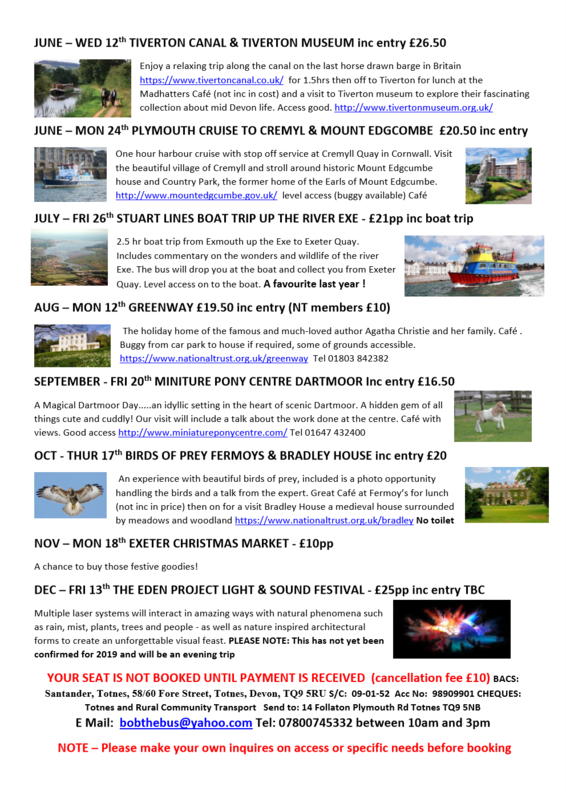 Open to residents in the South Hams, Trips are open to a group of up to 16 people. Buses are driven by our friendly, experienced, qualified drivers. 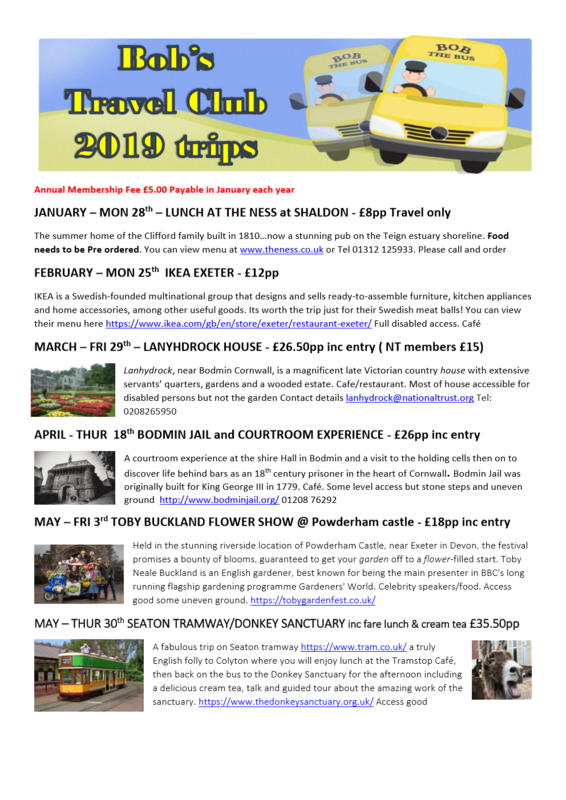 Trips start at £11 per seat and some trips may include entrance fees where applicable. There is a £5 annual membership fee taken when new members join each year. Membership fee is charged to cover costs of administration Payment for each trip must be made at time of booking. Payment can be made by cash, cheque or BACS. From 2019 membership will be renewed in January of each year.